This guest post was written by Mark Koester, an American working in the technology industry. 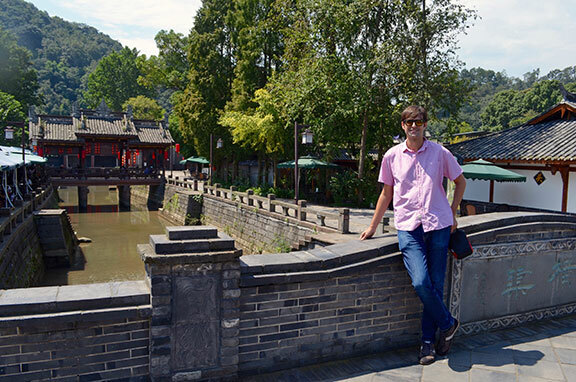 Mark has been in and around Chengdu for five years, choosing to make his home in Qingcheng Shan, a Taoist mountain on the outskirts of Chengdu. I’m writing this from the second floor of my three-story villa. Above the cobbled roof, it’s blue skies with a tinge of puffy white clouds. It’s a hot day but cool fresh air greeted me during my morning jog amongst rice fields and corn rows. 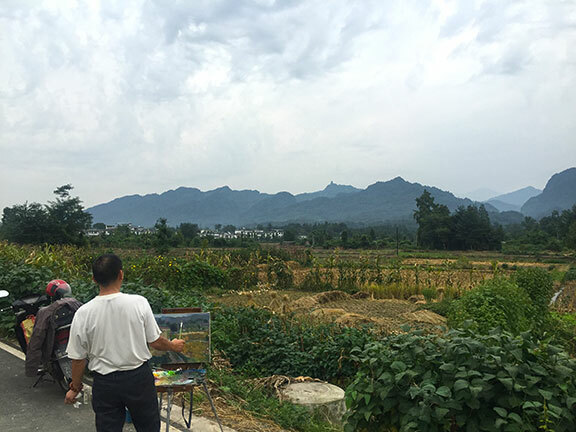 In the background sits the ancient mountains called Qingchengshan (??? ), and since late November 2015, I’ve called this place my home. “Home” has a more nuanced meaning for me after so long abroad. I’ve spent more than a decade abroad now. Over one third of my life outside my home country. I’m an American, but over the last decade of so, I’ve spend less than a few weeks a year in the United States. My long stays in great cities of Europe, South America and Asia and my journeys in-between have made me more cosmopolitan, more of a digital nomad. I’m not homesick or travel weary. I’m passionate and enjoy wandering the world. It’s my identity baggage. After having called Barcelona, Hangzhou, Paris, Shanghai, Strasbourg, Chicago, and even Chengdu at times as my home, I’ll admit that Qingchengshan and even China might seem like an odd choice for a multilingual, cosmopolitain American. And it was. So, how does one end up living in a Chinese mountain town and what’s it like? Here’s the tale. To summarize: I’d spent a year in Hangzhou and Shanghai learning Chinese, and then another year and half in Chengdu starting and failing a series of businesses, before landing on a moderate success. My business was stable and prospering so I left China and became a traveling entrepreneur. With my laptop in tow, I spent the next year and half as a digital nomad, returning to Europe, then South America and finally Southeast Asia. But like many who have come to China, there is still something unique about it. China is incomparably its own thing. China is hard, but it has something special that pulls certain souls back. After a month scuba diving in Thailand, I came to Chengdu to visit some friends. This odd layover in Sichuan turned into nearly two years running regional development for a US non-profit and then a VC investment startup programs company. We ran a couple dozen events in cities across Greater China. 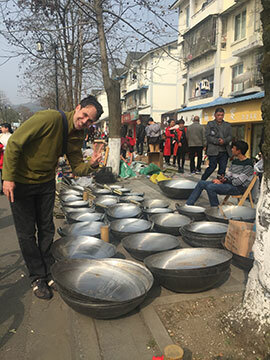 Though technically based out of Shanghai, for the majority of the period I was traveling every four or fives day for events, hackathons, business development, and fundraising. During those two years I got to see a lot of China’s early stage startup scene, which I have chronicled extensively. It was a wild two years with a flourish of activity, energetic people and money. Behind that story was a realization about how rough China can be. The urban landscape is abrasive. Nearly every major city has periods of intense pollution. In some places like Beijing, it’s nearly everyday. For as inspiring as Chinese companies and entrepreneurs can be, as a society, China is large, competitive and plays to win in nearly all dimensions. 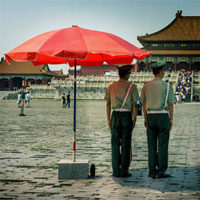 Finding people you trust is one of the longest running processes you can undertake in the Middle Kingdom. Like a lot of foreigners or frankly anyone who has spent a significant amount of time in China knows, one of the biggest hazards of living in China is the air. Like the locals, expats often check the air quality like we do the weather conditions: 28 Degrees Celsius. 120 PMI. Partly Cloudy but Polluted. We are in China for the “something extra” we feel here. There are moments of beauty. There is an ancient history hidden under the dust of modernism. There is a lot of activity. There is money. There is something special in this area of the world. An energy. Unfortunately, China can feel unlivable at times. Few foreigners manage to make a long-term life here. Most of the best people I know in China all have basically left or found a weird balance between China and somewhere else. We all know we are paying a health bill staying for any extended amount of time in Chinese cities. So, when I decided to spend another year in China, I made a bargain. In exchange for another year of working in Chinese cities, I’d find a retreat from the bad air and stuffy urban environment. While I’d assuredly have to return to cities across China for work reasons, I wanted a place where I could breath (and not through some mask or air filter). I wanted a place where I could leave the windows open and see the sun, the rain, the blues and yellows, and the seasons; the aspects we sacrifice for living in China. With my main criteria established – clean air – I quickly settled on the other important factors: it needed to be within a reasonable distance from a major city and airport. I wanted a standalone house or villa that I could renovate. I wanted a garden, even if it would be a small one. And I wanted there to be some kind of natural wonder or scenery nearby. It also needed to be within my budget to buy. After a year or so of following Chinese air trends, I concluded that most of Eastern China along the coast was not going to work. For while certain cities, especially a city like Qingdao, might have long spans of clean air, their winters brought back the smog. Shenzhen is also plagued by air issues. It’s also increasingly expensive and not ideal for its natural beauty. I eventually settled on the Western Provinces of Sichuan and Yunnan. Both of which I had spent a significant amount of time. After talking with Chinese friends, I took my first house search visit to Qingchengshan, a tourist area an hour or so outside Chengdu. 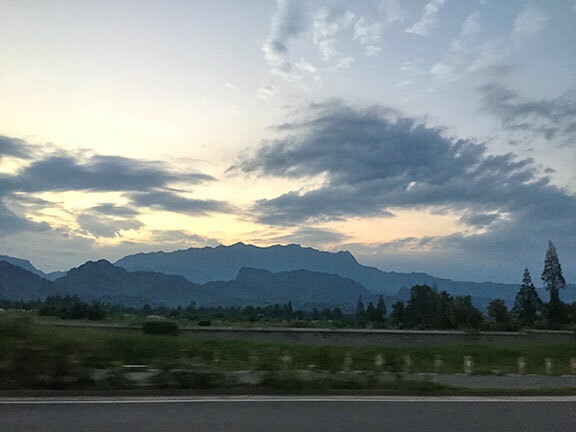 The drive leaving Chengdu was rough this first time, but I immediately felt the air quality change as we neared the town and mountain. The initial complexes I visited didn’t quite fit what I wanted. One had suffered under poor management and was overgrown and wet. Another was much nicer but considerably more expensive and completely unfinished. Through this first trip, I was able to clarify more precisely a price point for my requirements and felt good about this place meeting them. After more internet research and waiting, I returned to Qingchengshan a month later. The real estate agent had called with a good deal that fit my criteria. I had flown to Chengdu after nearly a month of aggressive travels in China and Asia Pacific. After a quick tour of only a few minutes, it become clear this house was the one. It was a stand-alone three-story villa with a small front garden. It was partially finished with only two areas needing more extensive work. Bathrooms were finished. And in spite of Chinese squat toilets and dusty ambiance, it could be made livable in short order. All good deals come with lucky timing and an imbalance of needs. The owner needed to sell quickly which made the price quite attractive. She wanted cash fast which I could get. I could afford my own house without stressing out and without needing a mortgage. Upon returning to Chengdu, I confirmed my intention to buy a house in the mountains. By October 2015, I had managed to get money into China, paid the owner, signed the documents and gotten the deed. I had my house. It fit the bill: clean air, stand-alone villa, natural area, convenient distance from a major airport, and a garden. Having rented apartments around the world, I’ve found renting in China to be one of the oddest. Unlike an apartment in France or the US, Chinese apartments come “uncleaned,” meaning the previous renter likely left you a pretty messy situation as various remnants of things they no longer wanted, like clothes, furniture, etc. Similarly, my new house came partially renovated. Several floors had been completed, but the main bedroom had some water and humidity damage and its original flooring had been ripped up and was now bare concrete. The house wasn’t in great shape, but fortunately, enough of the kitchen, one of the bathrooms and a bedroom were finished to make it worthy of a camping trip. While parts of the house would remain unfinished for several months, the first efforts brought an area to cook, clean and sleep. Getting the internet hooked up was surprisingly fast, so even if I was sleeping on a mattress on the floor, I had wifi. The next several months involved a massive amount of cleaning, building, gardening and renovation. It was the start of a new period of learning about life and wrong-headed assumptions in China. One of the first things I noticed after I had moved in was the constant activity of construction. Unlike Chengdu and other cities, there was a lot more freedom around building here. There were various rules about what you could and couldn’t do, but many home-owners completely ignored the rules and built as they pleased. They added balconies and extensions. As I would come to learn, these were largely illegal and, at one point in the early spring, a government group came and took down several of these projects with cranes. Steel reinforcement and concrete dust were all that remained. Apparently the owners had been warned before and had built anyways, so the government took down the illegal construction. A few months later these same owners were again rebuilding their balconies and extensions in an odd game of cat and mouse. To me it was baffling to see certain houses targeted when their neighbors might have the same illegal construction. Another early lesson I discovered about building was that Chinese workers are now one of the most valuable commodities around, especially in the realm of home construction. All around my complex were dozens of small and larger renovation projects. Teams of workers were adding extensions, renovating gardens and completing inside decorations. So, like a lot of Westerners, I assumed it was going to be easy to find workers to fix up my house. At the time, I was busy with several business projects so I had arranged for a Chinese friend to help me find some workers to fix up one of the bathrooms, renovate the floor and do a bunch of other handyman jobs. In spite of some verbal confirmation from a few workers that they were interested, they really weren’t. Workers wanted big, long projects, not short specific tasks. The handy man comes expensive, and the worker crews were looking for long, expensive projects. In a couple cases, I had made the mistake of buying the tiles or toilet or other material separately from the team to install it. This never worked out. So, if you buy a house in China and don’t want to use a Chinese renovation company for the whole thing, then you are going to have to do a lot of the small work yourself. As such, while I had a bunch of small work I wanted done on the house, it was hard and near impossible to find anyone to handle it. This lead to a lot of DIY trial-and-error home repair. Fortunately, there was one way to get some home repair and renovation work done: hire your supplier to do it. China is the land of factories and there are a lot of hardware shops you can access for materials and supplies. The supplies themselves are quite cheap and of good quality. So, if you are able to buy from a local supplier, they can provide a team of workers to install it. 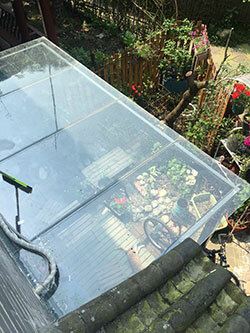 This was the solution to two additions that were added: the glass roof and the wood floor. In both cases, I bought the supplies and hired the installation team from the same shop. I do not consider myself to be the best handyman, especially compared to my father. That said, I’m not against work and figuring things out. Part of the challenge and joy of owning an unfinished house is all of the things you get to learn by doing. This came true for dozens of things from painting walls, putting in tiles, and plastering walls to installing lights, lamps, shower heads, and even a toilet. Beyond the home repair, the majority of time went into building a garden, which is a whole other story. The short of it was gardening is a lot of imagining. You visualize and plant and then see how it goes. You modify as plants thrive and others don’t. Creating a garden requires a certain vision and style. It’s not obvious that you can copy a garden design and apply it to where you live. It’s a process and one I am continuing to work on. With the house more or less finished and a garden I can enjoy and continue to work on, I have entered into a new stage of learning and building: the smart home. Using various small computers and micro-controllers, I have started tracking temperature and humidity in different parts of my house. I’ve created simple devices that can be remotely controlled. I’ve built a media player for watching TV and movies and auto-watering device. I’m far from finished with this “smart home” adventure and have several ideas I’m working on to extend my mountain garden home into a SMART mountain garden home. One of the important aspects of living in a place is seeing its full-year of seasons. You rarely know a place if you only spend a summer or winter there. So, while my life in Qingchengshan is not permanent, I have effectively spent a full year off and on watching this place. 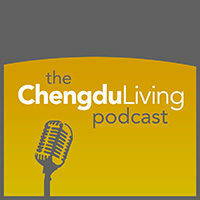 So what’s it like and how does it compare to Chengdu and other Chinese cities? First off, I’m still the only foreigner I know in my area. There are two local colleges nearby that have some foreign students and teachers. But as an occupant of the Qingchengshan Zhen, I’m the only non-Chinese local I’ve seen. This creates a situation of occasional stares from locals. Additionally I’m one of the few “younger” people in this area. Qingchengshan is mostly for retirees. There is a local population of youth and families, but it’s an area dominated by people over 60 and 70 years old. You see older couples walking in the evenings and mornings start early here. You often see grandparents with toddlers since often the parents are in the city working. Qingchengshan is a seasonal place. There are big waves of visitors during the summer months and around a few holiday weekends. Overall, it’s empty. For example, it’s been odd to watch the construction work of my neighbors, since they are so rarely here. Amongst the several hundred or so villas in my complex, only a few dozen have people who live there most of the year. During the summer there were periods where most people were there and little parking, but even then only for a long weekend. The majority of the owners of the villas are from Chengdu. Many come for the air and quieter life, though many also bought these houses as a kind of investment and play-thing. Discussions of what you paid and what you can sell for are common topics. Surprisingly there is a considerable amount of northern DongBei Chinese here too. In spite of its communist ideology, China has a pretty well-known class division, especially via its derogatory logic of farmer vs. city-person. Qingchengshan retains many of these demographic and educational barriers. While there are definitely different classes in every place I’ve been in the world, I was surprised by the stark divide here. Most of the villas are occupied by Chengdu professionals (government workers, bank managers, teachers, etc.). Most of the areas around the town are farms. The staff and typical workers are locals from those nearby villages and farms. Most villa owners speak relatively correct Mandarin or PuTongHua while you can immediately tell who is a local via heavier Sichuan language. All the construction workers speak with a heavy accent and many remark that the best workers are in other bigger cities. 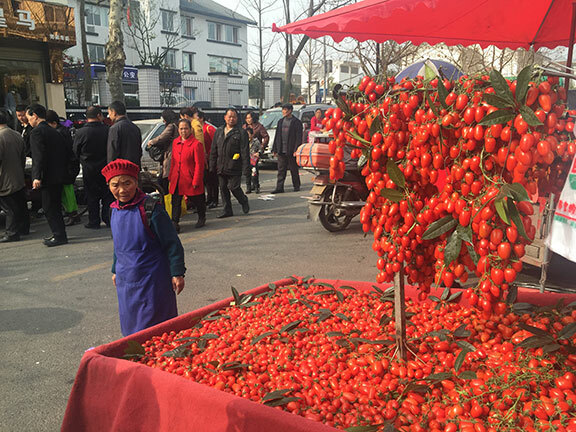 Compared to Chengdu or other major cities in China, life in Qingchengshan is more driven by the local markets. People get up earlier and go to the market. You can feel when it’s a market day as there is more street bustle and nearby farmers and sellers gather. One of the other things I’ve learned is that there are multiple villages and towns that might fall under “Qingchengshan” in my mind. In fact, Qingchengshan as a whole falls under Dujiangyan jurisdiction and carries with it several dozen towns and neighborhoods. Each with its own local aspects and market cycles. Since living here I’ve come to realize which towns have certain resources and which markets are better for certain things. It’s the same for locals too. These villages and towns are the remnants of a long history of Chinese society that largely left the cityscape. Living in Qingchengshan is definitely more of a challenge than living in a city like Chengdu or Shanghai. There are few restaurants and most are of a more peasant food variety. There are no supermarkets for getting non-local beer or snacks. It’s best to buy what you need in the local markets. But there is internet connectivity, which is enough for me. I work mostly online. My main business occupation at the moment is that I manage a team of remote clients and developers. We work on a range of projects but all handled remotely. Chinese internet is not without its challenges, especially connecting to foreign sites and services. That said, I’ve found that the internet in Qingchengshan, especially during the day is fast and reliable. I can connect via a proxy and work without any problems on most days. I’d guess I have issues once every two weeks for a few hours, which by China standards is not bad. With the internet comes online shopping. Qingchengshan is connected to China’s massive online sales system like Taobao and JD.com. So, while it might take a day or two longer to receive things, you can order anything and everything via the internet. I’ve ordered online all of my appliances, couches, yoga mats, electronics, and other things and shipped it to the mountain. So, with decent internet and solid logistics, there is no real limit to getting anything you want. 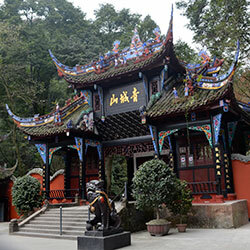 Qingchengshan is a destination for mostly Chinese tourists. A few Westerners will venture to these famous Taoist Mountains to hike the trails or visit some of the spots. I’ve met a few but it’s rare. There are even fewer who stay longer, let alone live in Qingchengshan. As the harshness of Chinese city air burned me down, I’ve been lucky to have built a retreat from the madness. I’ve built a unique kind of home. It’s China without the worst of its problems: the air. It’s a stand-alone space where I can build too. I have a garden and I have a backyard of mountains. I never need to check the PMI or air before I take a run or go for a bike ride. It’s sometimes rainy or humid but the air is always good. With a bit of planning, I don’t miss out on my essentials like fresh coffee and good beer. The markets are all local produce. Its cheap and safe. I buy from the farmers growing the fruit or vegetables or the meat seller who butchered the pig. It’s an odd situation compared to how we live elsewhere in the modern world. At the same time, Qingchengshan is extremely convenient from Chengdu. Driving is still easiest and only takes about an hour depending where you are going. If you don’t drive, there are other options. With the high speed rail (or bus) and subway system, it only takes about an hour or two to go from the mountains to a meeting in Chengdu. The train from Qingchengshan to Xipu is only 30 minutes. I’ve done it a few times. I can take a morning train and get to a flight or meeting by noon or early afternoon. I have been lucky to live in several great cities in my life. Some of my favorites include Chicago, Paris, Strasbourg, and Barcelona. I’ve lived in Hangzhou, Shanghai and Chengdu in China. And I’ve done long stays in Sydney, Thailand, Toulouse, Singapore, San Francisco, Seattle and Bogota. Each of these places have added a unique layer of experiences and memories. I hope to return to these places and others again. But this year was unique for me since not only did I live in a new place but I had my own house as well. I’ve learned a lot of lessons about China and about myself through these experience. In the end, I’m happy to have added a new city to my list with a year living in the Taoist Mountains of Qingchengshan. 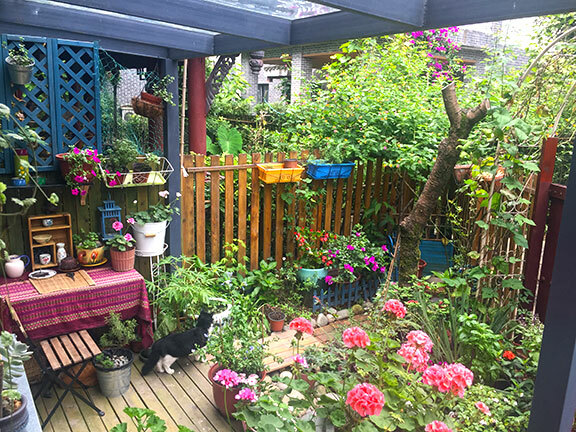 I know one other foreigner (Dutch) who owns a house in Qingchengshan who lives there half the time and Airbnb’s it the other half. How do you cope with feelings of isolation being “the only foreigner” in a city full of retired 60 year olds and toddlers? @Vincent: Short answer is routines. I run, read, write and work on different dev and digital projects. I’m also an internet nomad and feel pretty well-connected to different things via the net. Obviously the firewall can make this hard but I rarely have any troubles, so in fact, I get to balance a very local experience with all of what we can consume around the world. Thanks for the read and comment. Hi, are you still there? I’m going to be in Sichuan and Mountain and air for relaxing sounds good! Can you contact me for more information? it’s 1.6 billion now? how come i dont know? im a student from qingchengshan, pay a visit here, you’d feel the isolation, the campus is like a ghost town at night. Thanks for writing this excellent article on making things work in China as a digital nomad! I would say creating/growing a garden provides the perfect complement to digital work. 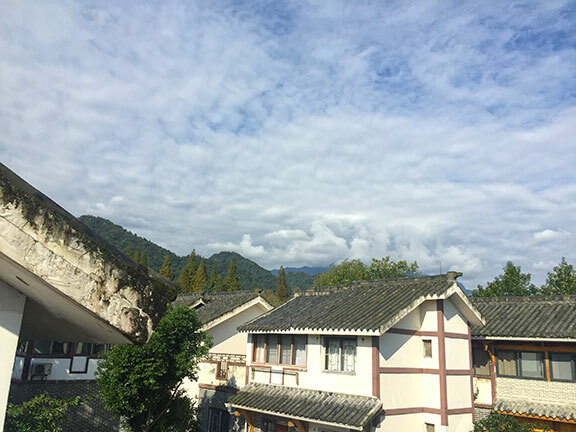 Indeed, if you’re a digital nomad it seems like Qingcheng Shan, or another area of China with nature intact might be a nice alternative to the grit of China’s major cities. When you are ready to travel to Chinese Mountain Towns then you will get find exciting things there. Recommended. thanks for providing a different possibility to live normadically in China, even as a Chinese i am inspired. Chinese farmers are among the kindest, they may not be that knowledgeble, yet they are rustic and willing to help. Do you guys know “Taoist priest” in Qingcheng? I’m a Chinese student, but I have lots of ‘Taoist Priest’ friends who want to disseminate the ‘Dao’We need some people who are willing to research in Metaphysics. Hi Mark! I enjoyed reading your very well written narrative. Its not everyday, that I got to read this very interesting story. I’ve been in and out of Chengdu since 2010, and its my first time to hear about an American digital nomad living in a Chinese mountainside. Big thanks for sharing your life story, and perhaps someday, I might pay you a visit in your home @qingshengshan before heading back to Europe. Hey JR, look me up if you head to the mountains out here. Definitely a lovely fall especially in the coming days. Always open for a hike or chat. Hi, It was great to read your story. I’ve been back and forth between China and Los Angeles 10 years. My wife is smarter than I so now it’s about 10 months China, 2 months America. I’m curious where you are. I’m up the mountain maybe 1 km from entrance to QCS. For more than 5 years we’ve gone to QCS every Friday and returned every Sunday. My wife has built this sprawling complex from what started as a large house. She likes to walk on the concrete street. 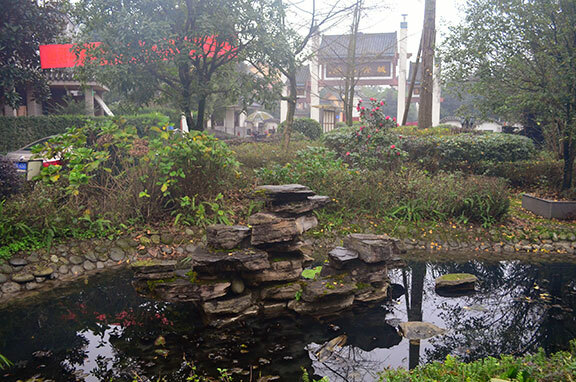 I walk a trail at the ridge line that goes to a mountain of tea and on to a Taoist temple. I was quite startled to see a lawai on a scooter last week so there’s at least 3 of us. I easily bought One house in Chengdu 6 years ago. Sometimes I hike QCS with the hoardes of people, other times I go up the trails no one knows. Clean air? I need to ask you about that. Hey Steve, I’m the “running” laowai: http://www.markwk.com/first-marathon.html. I’m not in QCS at the moment but definitely get around there and likely will be doing the evening front mountain run when I do. Look me up.